Today’s post is Part 2 of the 2018 Great Backyard Bird Count. You can read about Day 1 here. We spent the last half of the bird count weekend at the Jersey Shore. For the last few weeks, many birders on some of the Facebook groups I’m a member of have been posting about Redhead ducks. A large flock of these ducks, as well as other waterfowl, have been observed at Lake of the Lilies in Pt. Pleasant, NJ. We’ve never seen Redheads before, so we thought it would be fun to check out this new location. The first thing I noticed about Lake of the Lilies is that it’s relatively small. It’s also a little unusual because it’s surrounded on all sides by beach houses. I heard the Redheads tend to show up every winter, but with such a small lake I wasn’t sure what else would be around. What a treasure trove! We observed 13 different waterfowl species. There were Mallards, Gadwalls, Greater Scaups, Ruddy Ducks, Northern Shovelers, Ring-necked Ducks, Mute Swans, Canada Geese, Buffleheads, an American Wigeon, Hooded Mergansers, and as we expected, a large raft of Redheads. All these different species congregated together to sleep, preen, feed, and float around the lake. We even had a chance to see two Horned Grebes and tons of American Coots. Lake of the Lilies is a lovely little gem. I was so satisfied watching all the waterfowl together. Mission accomplished. No, we have not seen the Tufted Duck. We actually didn’t even know one was there. So we thanked the man and turned around (obviously lol!) to search for the Tufted Duck. We scanned the lake. Tufted Ducks look very similar to Great Scaups, and as their name suggests, they have a tuft of feathers sticking out from the back of their heads. By this point, most of the duck had their heads tucked in to sleep. I did see one duck with some feathers sticking out, but wasn’t sure if that was the bird. I took some more pictures and after awhile we went on our way. It turns out that after we left a large number of birders arrived at Lake of the Lilies to find the Tufted Duck. Many people posted the duck on Facebook. I scanned through all the photos I took and checked every single duck. Only one duck looked suspect with some feathers sticking out, so I asked my Facebook group. It was confirmed: we saw the Tufted Duck! Tufted Ducks are from Eurasia, so finding one here in America is pretty rare. We didn’t expected to find a rare bird during the count, but we ended up nabbing our first ever Eurasian rarity! Our final park of the day was Fisherman’s Cove Conservation Area. We didn’t stay too long, but did see 14 species and 233 individuals. Here’s what we saw last year on Day 3. We were not able to participate on Day 4 this year, so you can read about 2017’s Day 4 here. In the 2 days that we were able to participate this year, we saw 33 different species and 793 individual birds. Two of our species were life-list birds. 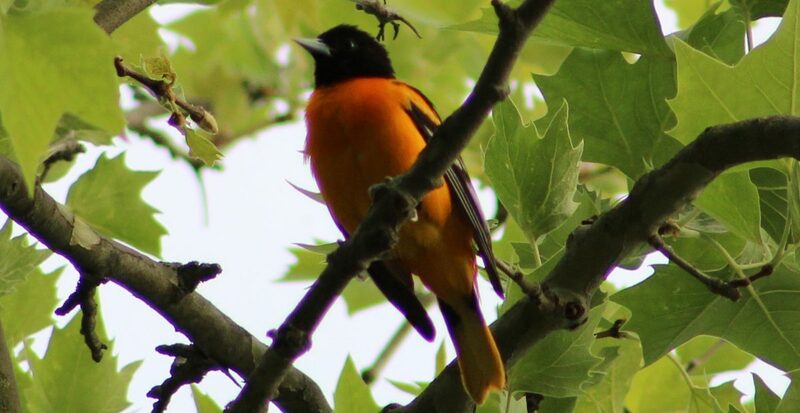 It will certainly be a Great Backyard Bird Count to remember. 2018 is was our 4th year of participating in the Great Backyard Bird Count. What an interesting weekend it was! Unfortunately, Day 1 (2/16) ended up being a washout. It was a miserable, dark, rainy day. Here is what we saw on Day 1 last year. Thankfully the Sun made an appearance for a little while on Day 2 (2/17) . The temperature was around 40, so we ended up birding at two lakes. First up was Smithville Lake in Eastampton. Clearly he wanted food, but I certainly wasn’t going to feed him (Quick PSA: don’t feed the waterfowl!). We continued on our way to find more Canada Geese, Mallards, and Ring-billed Gulls. We also spotted some of the “strange ducks”, like the hybrid below, who seems to be a mix of a Mallard and one of the white domestic ducks. Haddon Lake is a GBBC tradition for us. Now that we’ve been participating for multiple years, we can compare what we’ve observed this year to the past. Two species that we saw this year for the count but not past years were the Northern Mockingbird and Double-crested Cormorant. We had the opportunity to watch the cormorant climb out of the water and dry its wings off for a few minutes. Surprisingly, for a bird who’s livelihood is diving for fish, the Double-crested Cormorant’s feathers are not waterproof. Therefore, you’ll commonly see these birds fanning out their wings to dry. I took a video the cormorant preening. Overall our total count for Day 2 was 14 different species and 255 individual birds. Check our what we saw on Day 2 last year here). It’s the first day the Lunar New Year. Known as the Spring Festival, the Lunar New Year occurs on the second new Moon after the Winter Solstice. Although Lunar New Year is celebrated in many Asian countries, the most popular version of this celebration is Chinese New Year. An important part of the new year is the Chinese Zodiac. The Chinese zodiac is a repeating 12-year cycle. Each year is represented by an animal and its characteristics. The 12 animals (in order) are: Rat, Ox, Tiger, Rabbit, Dragon, Snake, Horse, Goat, Monkey, Rooster, Dog, and Pig. 2018 is the Year of the Dog, and 2017 was the Year of the Rooster. Luck plays an large role in Chinese culture. Many Chinese believe in surrounding themselves with lucky symbols and objects to increase their prosperity and joy. It’s said that you are unlucky during your animal year, but there are things you can do to increase your luck. We have one bird in the Chinese Zodiac: the Rooster (last year’s animal). The Rooster is a lucky bird because it sound similar to the Chinese word for lucky, or jí. Roosters represent loyalty, courage, confidence, honesty, and being hard working. These birds also epitomize the Sun God, since they crow every morning when the Sun rises. In Western cultures, the mythical phoenix rises from the ashes and exemplifies rebirth. However, the Chinese phoenix is not related to the Western one. In Chinese culture, the phoenix is the king of all birds. They are messengers of happiness and only appear in times of prosperity and peace. The phoenix consists of the wings of a golden cockerel, the head of a peakcock, and the body of a swan. The name of phoenix, feng hunag, means “male bird, female bird”. As a result, the phoenix represents the union of masculinity and femininity, or ying and yang. The phoenix is often pictured with another important mythical Chinese creature, the Dragon. These creatures together represent the Emperor and Empress. This bird is also extremely docile and signifies high moral standards. Cranes are one of the culture’s most favored birds, second only to the phoenix. They represent longevity, wisdom, purity, and peace. Two cranes together means a wish for a long marriage and a crane flying towards the Sun means social advancement or ambition. Cranes also signify authority, so cranes were embroidered onto the robes of Imperial officials. According to Chinese legend, cranes carry departed spirits to heaven. Mandarin Ducks are said mate for life, so they represent long term love and marriage. They also symbolize happiness, especially if lotus flowers are depicted along with the ducks. These birds are very common on wedding gifts and cards. The birds listed above are only some of the many important bird symbols in Chinese culture. If you like this topic, let me know and I can highlight some more of them. Author BirdNationPosted on February 16, 2018 February 16, 2018 Categories Birds, UncategorizedTags Asian birds, beauty, Birds, birds as symbols, Chinese bird symbols, Chinese birds, Chinese New Year, Chinese New Year 2018, cranes, ducks, Lunar New Year, mandarin duck, nature, phoenix, roosterLeave a comment on Happy Lunar New Year! I read a fact the other day that blew my mind. I was reading an article on Audubon’s website called “Who Wins the Feeder War?” by Nell Durfee. In this article, Durfee explains about a new study in feeder hierarchy. The author then presents 5 “duels” you may observe at a feeder along with some facts about each bird. You can read the article at http://www.audubon.org/news/who-wins-feeder-war. 17,000-plus seeds?! Woah!! Mind blown. So of course I needed to investigate this amazing fact further. I stumbled upon a Washington Post article from January 2012 called “Mourning doves: Gluttons of the bird feeder” by Patterson Clark (you can read that article here). In one day, a Mourning Dove can consumes as much as 20% of their own body weight. In order to do this, they need to store food in a crop. A crop is a specialized area that is found in some bird species. It is an enlargement of the lower esophagus that aids in food storage so that the bird can move safely. The food will stay in the crop until the bird is ready to either pass the food into its stomach or regurgitate it to its young. In some birds, cells in the crop lining will help produce a “crop milk” that is rich in lipid to feed to their young. It’s fascinating that this record-setting Mourning Dove fit over 17,000 seeds in its crop! The avian body is amazing. Mourning Doves love seeds and will happy devour as much food as possible from your feeder. They prefer platform feeders, ones with a perch, or just simple flat ground. Author BirdNationPosted on February 15, 2018 February 15, 2018 Categories Anatomy, Birds, Feeder Friends, UncategorizedTags bird anatomy, bird feeder, Birds, environment, feeder birds, mourning dove, natureLeave a comment on Mind. Blown. Ready to Count Some Birds? Are you ready for the Great Backyard Bird Count? It’s only a few days away! The 21st annual Great Backyard Bird Count (GBBC) is Friday, February 16 to Monday, February 19. This worldwide citizen science project is organized by the Cornell Lab of Ornithology in partnership with the National Audubon Society. Participating is easy as 1-2-3! Spend at least 15 minutes in that location and count as many birds as you can. And voilà! You just had tons of fun and helped scientists at the same time! Wait…how did you help scientists? The data that you submit on eBird is used by scientists to keep track of bird populations in real time. The count takes place in February so ornithologists can see where birds are before spring migration occurs. The data collected also helps them understand how weather/climate change/diseases affect the timing of migration and to observe the avian biodiversity in different habitats around the world. As data builds up each year, scientists are able to compare how populations have been influenced over a longer period of time. In 2017, birders from over 100 countries reported more than 6,200 species of birds in the 4-day period. That’s over half of the world’s bird species! I can’t wait to see what the 2018 GBBC brings. I will be reporting the findings of our bird count throughout the weekend as I have done in past years. I hope you’ll join me and the thousands of other birders this weekend for this awesome event! Find out more at gbbc.birdcount.org. Let me know in the comments if you plan to participating! Author BirdNationPosted on February 14, 2018 February 15, 2018 Categories Birds, UncategorizedTags bird count, birding, Birds, Cornell Lab of Ornithology, Great Backyard Bird Count, Great Backyard Bird Count 2018, National Audubon Society3 Comments on Ready to Count Some Birds? Dave and I took our first Barnegat Light trip of 2018 on Sunday, February 4. It was a chilly, windy, and overcast day. We left right before the afternoon rain started to fall, but we did see a decent amount of species. On the jetty we came across this young gull with a sea urchin test. A test is a skeletal structure made of calcium carbonate. It contributes to the sea urchin’s five-fold symmetry and helps protect the internal organs. After a minute or two the gull dropped the test and flew away, since it turns out that it was already empty. As far as the gull itself, I’m going to venture and say 2nd winter Great Black-backed Gull, but I’m not 100% (don’t quote me on it, I’m still studying my gulls! They’re tricky to id lol). Other birds found on the jetty included other Great Black-backed Gulls, Herring Gulls, Ruddy Turnstones, and Purple Sandpipers. Dave took a few pictures of a Purple Sandpiper taking a bath on one of the rocks. In Barnegat Inlet we watched Common Loons, Red-breasted Mergansers, Common Goldeneye, Common Eiders, and Harlequin Ducks float and feed. On the beach there were a few American Crows and a small flock of Snow Buntings zipping around. It was a nice way to start off our Barnegat Light trips for 2018. I’m not much of a football fan, but I do have enjoy watching the Super Bowl. Many bird sites like to post about SuperbOwl Sunday, but this year the Philadelphia Eagles are in the championship game. I live close to Philly, so I’m right in the middle of Eagles country. So in honor of the fact that the birds are in the Super Bowl, here are some fun facts about Bald Eagles, the team’s mascot. Bald Eagles are known for their distinctive white heads/tails, dark bodies, and yellow bill/legs. This is actually the adult plumage. Juvenile eagles are all brown and mottled on their body to various degrees. Each year they gain more white feather until the reach their full adult plumage around the age of 5. Fish is the main staple of the Bald Eagle. They are opportunistic and will eat carrion, as well as birds, mammals, amphibians, and invertebrates. They will also try to pirate food off Ospreys or fish-eating mammals. Mate selection begins around the age of 4, and breeding pairs will stay together for life. Both sexes will contribute to making a nest, with the female focusing on stick placement. Bald Eagles construct some of the biggest nests in the world. They can be as tall as 2-4 feet and as wide as 5-6 feet. An eagle pair use the same nest for many years, often adding sticks to it each year. The record for the largest Bald Eagle nest was 9 feet, 6 inches in diameter and 20 feet deep! It was located in St. Petersburg, Florida. Bald Eagles are usually solitary birds. In the winter, they will congregate in large groups, especially if there is a salmon spawn. Bald Eagles are known for one of the most dazzling mating displays. A pair will lock talons and rapidly descend to the ground in a dizzying spiral. They will release their talons before hitting the ground. While diving, eagles can reach speeds of up to 100 miles per hour. Bald Eagles represent one of the greatest success stories in bird conservation. In the 1978, these birds were added to the Endangered Species Act, mainly due to exposure to the harmful chemical DDT. After DDT was banned, populations began to rebound through the 1980s. By the 1990s breeding populations started to become more established. They were removed from the Endangered Species List in 2007. However, they still face threats from overdevelopment, lead ammunition, and collisions with vehicles. Alaska is home to the highest number of Bald Eagles in North America, with a population of around 70,000. Other states with high Bald Eagle populations include Florida, Wisconsin, and Minnesota. Author BirdNationPosted on February 4, 2018 February 4, 2018 Categories Bird Profiles, Birds, UncategorizedTags bald eagle, Birds, eagles, environment, nature, North American birds, super bowl, super bowl sunday2 Comments on E-A-G-L-E-S Eagles!